Celebrate Valentine's Day as one big family affair by getting everyone some custom pajamas. Easily customize a set in our design center by adding your image, art, and text or gather some inspiration from our clipart library. February 14 only comes once a year, so be sure to gear up with some cute Valentine's Day jammies. 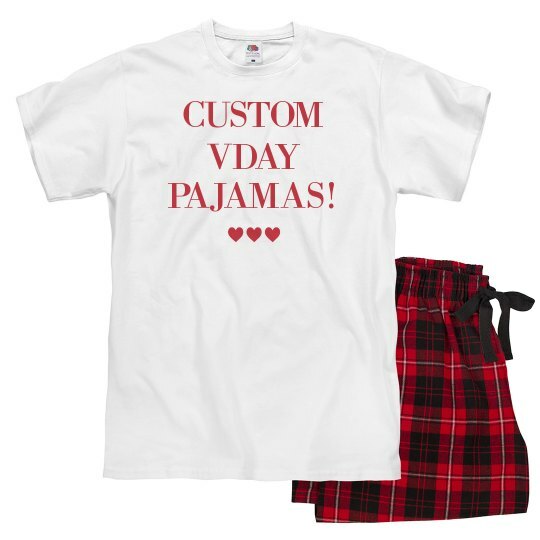 Custom Text: CUSTOM | VDAY | PAJAMAS!